This course is designed for professional supervisors and managers (non-sworn). It provides students with useful skills to lead and manage professional employees in a law enforcement environment. Through a series of adult learning activities, lecture and facilitated discussion, the student will forge a path to greater supervisory success by gaining the confidence and necessary tools to effectively lead their employee(s) in an effort to better meet an organization’s strategic objectives and goals. Students will learn the “nuts and bolts” of effective supervision and managements to build teamwork and ensure accountability. City, County, State, and Federal Law Enforcement agencies who employ professional (non-sworn) supervisors and managers. Typically the target audience will be professional supervisors and managers working in Dispatch, Records, Property and other administrative assignments. 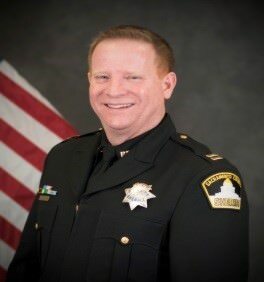 Darin Griem is a 27-year veteran with the Sacramento County Sheriff’s Department, where he currently holds the rank of Captain. He has held a variety of assignments throughout his career, including Corrections, Patrol, Motors, SWAT, Professional Standards and Investigations. Darin has served as one of his department’s primary instructors in Firearms, Patrol Rifle, Active Shooter, and SWAT, and currently instructs in the Department’s New Supervisor Training course in Progressive Discipline and Response to Critical Incidents. Darin has a Bachelor of Science degree in Criminal Justice Management. 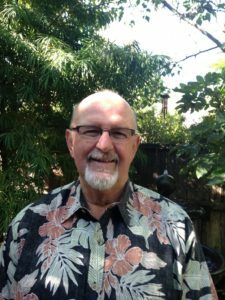 A graduate of San Francisco State University and the University of San Francisco, Bruce Grantham retired from the South San Francisco Unified School District in 2006 after thirty-eight years with the District. He spent thirty-one of those years as a school site administrator at the District’s middle school, high school, and adult school campuses. A primary responsibility was training and supervising new and veteran teachers. During his last six years, Bruce also served as Director of Community Relations for the school district. It was in the role of training and supervising teachers that he discovered the usefulness of the Kaleidoscope Profile in identifying adult learning styles and how this information could enhance the teacher / student learning experience. Bruce developed the Adult Learning Theory training model in 2004 to train FTOs and academy recruits for the South San Francisco Police Department. He has since provided Adult Learning Theory training for other Bay Area law enforcement agencies, Transportation Safety Administration (TSA) supervisors at San Francisco International Airport, as well as public and private school faculties in the Bay Area.